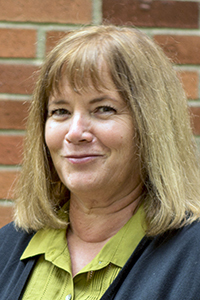 Sue Varani joined the school in 2003 bringing with her more than 14 years of experience in academia in Oregon. She manages both Faculty Services and Allen Hall building support staff. Varani provides curriculum scheduling and support and provides administrative and instructional assistance to the Senior Associate Dean and Area Directors. Prior to moving to Oregon, she gained experience in coordination and administrative support working for a large Midwest bank holding company. There, she was part of the staff that founded a MicroCenter training area (provided internal computer training and hotline support), a computer programmer and a computer consultant.